Safe for everyday use and still used by millions of Chinese citizens. 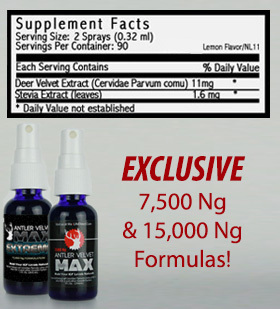 Antler Velvet Max repairs, rebuilds and strengthens many areas of the body. 2,000 years ago the Chinese discovered that deer antler velvet improved vitality and also had an anti-aging effect. 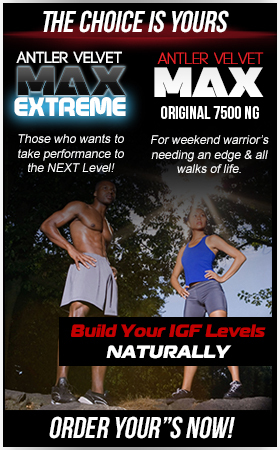 The high quality Deer Antler Velvet in Antler Velvet Max has several highly beneficial ingredients such as proteins, minerals, amino acids, hormones and Insulin-like Growth Factor (IGF-1) agents that provide the body the much-needed supplements to sustain growth and fitness during decaying stages initiated by aging. 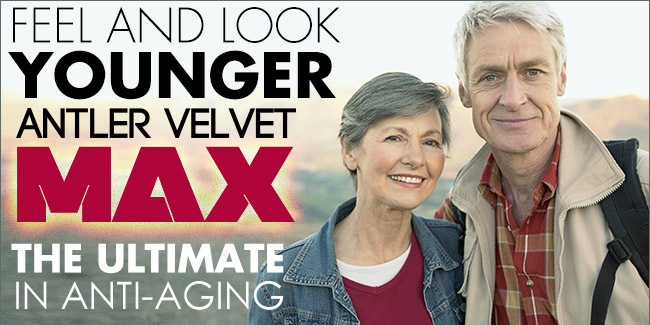 The MaxLife Antler Velvet Max product uses a patented Lipo Gastric Delivery System™ (LGDS) which allows faster delivery and greater bioavailability and longer duration of nutrient action. This has a distinct advantage over tablets, capsules and powder products. In traditional Chinese medicine, Deer Antler Velvet has been used for over 2,000 years as a tonic, to improve bone health, to nourish the blood, and help reduce swelling. Later research on deer antler dates back to the 1980s in Russia. Hundreds of articles have since been published including those documented by Chinese, Korean, and Japanese scientists. Whether you are looking to tone up or loose weight, exploring the wide range of medicinal and health promoting qualities of deer antler velvet is sure to be worth your while.